As adults, we like to think that whatever successes we’ve achieved are the result of our own hard work and determination. Our culture is rooted in the belief that we all start out with an equal chance at the American dream. If we work hard enough, we can earn the things we want. But research shows that’s not really true. Our relative success in life has been largely determined by the time we reach age 4. Those few years before we start school shape the rest of our lives. And fortunately or unfortunately, these are the years when we are entirely dependent on others to meet our physical and emotional needs. NC Child recently issued the 2017 North Carolina Child Health Report Card. This report card tells us how well – or how poorly – we are meeting our children’s needs. And when it comes to children’s health and well-being, anything less than an A is a failure. NC Child is a nonprofit devoted to advancing public policies that improve the lives of North Carolina’s children. This nonprofit hands out grades in several broad categories: Access to Care, Healthy Births, Safe Homes and Neighborhoods, and Health Risk Factors. Sadly, North Carolina earned an A in only one area: insurance coverage for children. Our state fared particularly poorly in Health Risk Factors: F in Economic Security; D in Healthy Eating and Active Living; D in Tobacco, Alcohol and Substance Use; and D in Mental Health. The North Carolina Child Health Report Card details the scope of our state’s problems in children’s health. In an era when it’s nearly impossible to find consensus on any of the major issues facing our nation, the need to do a better job of providing for our children is the exception. Everyone would agree this should be a priority for the country and especially for North Carolina. That just makes it all the more frustrating that progress on addressing children’s issues has seemed to come so slowly. If we can all agree on the problems, you’d think we could find common ground on solutions. Fortunately, our state is reaching that consensus. And, there’s now a growing urgency to address these issues. EdNC is a nonprofit working to expand the educational opportunities for all children in North Carolina. It intends to increase academic attainment and improve the performance of the state’s public schools. EdNC recently announced a new initiative called Reach NC Voices. The aim of the project is to survey North Carolinians in real time to understand how they feel about the broad array of issues facing our students, parents, educators, and communities. Through Reach NC Voices, EdNC will also share the stories of North Carolinians who are working to address children’s health issues. The hope is that this will lead to collaboration and innovation in addressing these problems. And those aren’t the only voices bringing attention children’s health issues here in North Carolina. Earlier this year, I was invited to moderate a panel discussion at NC State’s Institute for Emerging Issues (IEI) Forum. This event drew researchers, nonprofit and corporate leaders, and elected officials to discuss “Kidonomics.” The event examined the impact of making early childhood investments – or failing to make those investment – on North Carolina’s economy. The broad scope of academic research presented at the forum makes clear just how crucial those first few years of a child’s life really are. So much of our potential in life is already laid out before we even reach school age. This includes our chances for professional success, personal fulfillment, and good health. The fuel that powers children’s progress in early life is of course the food they eat. 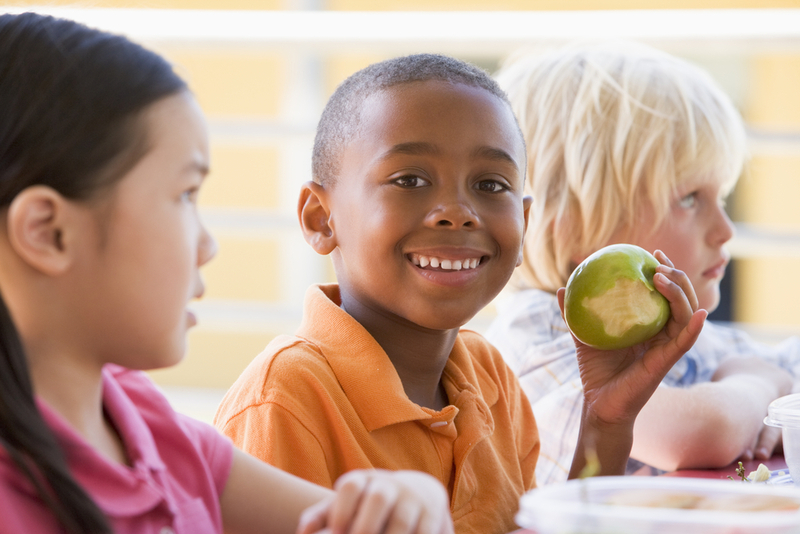 A new tool Blue Cross and Blue Shield of North Carolina (Blue Cross NC) is using to ensure that young people are fueled properly is the nationwide FNV (Fruits and Veggies) campaign. FNV aims to market nutritious fruits and vegetables to kids using the hip marketing methods they respond to. The methods include celebrity endorsers, social media memes, humor and of course advertising. Young people are bombarded with marketing messages all day long. So, why not include some healthy messages? It’s crucial that these messages about nutrition and healthy eating reach children during their formative years. It’s in these early years that lifelong eating habits are formed. If kids avoid poor eating habits and start school at the proper weight, their chances for a happy, healthy life increase dramatically. Not surprisingly, there are financial and political challenges to addressing the need for early childhood supports. One of the more fundamental issues is convincing state elected officials of the need to spend money to address problems today. Because, of course, budgetary returns on these investments won’t be fully appreciated for several years. That kind of short-sighted thinking can be very damaging to our state. And it could be potentially ruinous to the lives of entire generations of children. We all share a duty to help give children an equal shot at health, happiness and success in life. Our state has done some great work toward that goal. But we can do better.